The wait is starting to feel interminable for the arrival of Let’s Eat 2. This is one drama where I love the cast and love the story concept equally. 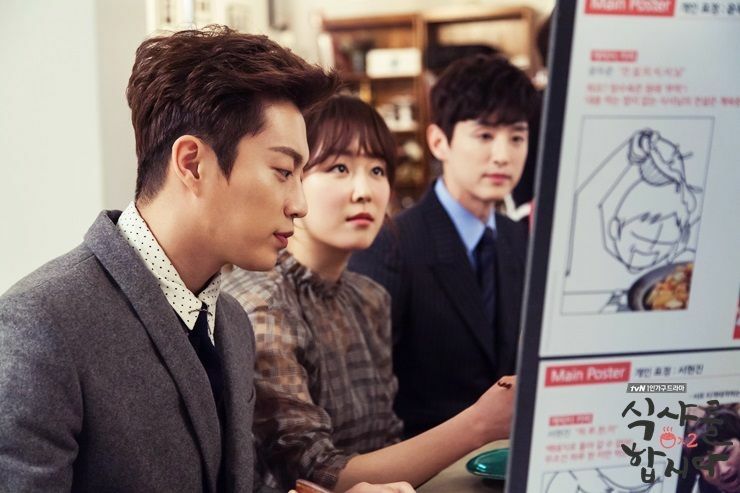 Yoon Doo Joon reprises his character from the original Let’s Eat and moves to another city to embark on another foodie adventure with like-minded and less food obsessed folks. Seo Hyun Jin is ridiculously adorable playing a fellow foodie, just one who approaches quality eating from a different angle than Yoon Doo Joon. I haven’t seen second male lead Kwon Yul onscreen in years, not since he played a supporting role as Kang Ji Hwan‘s secretary in Lie to Me when he still went by the name Kwon Se In. The preview for episode 1 is out and continues the easygoing charming vibe with a side of doorbell ringing sparks. I’m really loving Ho Goo’s Love….but can’t wait for this to start too. I feel like I may like this one better than the first one! !